Select a BASIC cycle; start machine. For bread machines with a BAKE ONLY cycle, select the DOUGH cycle for mixing and rising. Press STOP when the cycle is complete; select the BAKE ONLY cycle to complete the bread. After the mixing action begins, help any unmixed ingredients into the dough with a rubber spatula, keeping to edges and top of batter to prevent interference with the kneading blade. Spoon batter into one 9 x 5-inch greased bread pan or two 8½ x 4½ -inch greased bread pans; allow to rise approximately 1 hour. Bake at 350ºF for 45 to 50 minutes; use a toothpick to test for doneness. What kind of ready mafe gluten-free flour can be used in a bread machine workout have to buy all 6,7,8 different types of mixtures to put in machine. Is ther one premixed bread flour? There is an ‘all-purpose’ gluten-free flour now available through a variety of brands. You can experiment using this type of flour to replace the flours listed in our gluten-free recipes. Let us know if you try any of them! 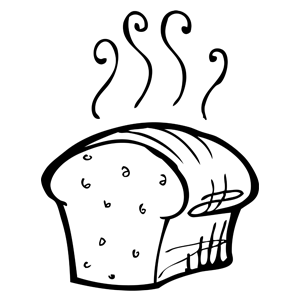 Can I use Splenda in your bread recipes ? Also I don’t have xanthan gum is that necessary or is there a substitute ? Thanks! Artificial sweeteners do not provide food for the yeast so they cannot be used in breads to perform the same function as sugar does. In the mixer method it never tells you when TO add the yeast. Only when not to. This recipe is absolutely wonderful! I have tried many different recipes and this one is by far the best tasting one! It’s like having “real” bread again. And no more tiny slices. This made a good sized loaf of bread. Thank you so much for the “normal” tasting GF sandwich bread.